OOFFRR has covered Delhi's major parts successfully. Now, it has spread its wings to Jharkhand. Let's take this opportunity to take you on the journey of the new cluster of OOFFRR. JHARKHAND: Jharkhand is a state popular for its abundance of mineral resources in eastern India. Many industries are established in Jharkhand, one such industry is Tata Steel, which is established in Jamshedpur. 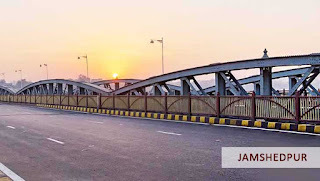 JAMSHEDPUR: Jamshedpur is India's first planned city in Jharkhand. It is home to Tata Steel, the eighth largest steel manufacturing company in the world, as mentioned above. OOFFRR now also operates in Jamshedpur City, simply means you can enjoy the best shopping deals in Jamshedpur. The first cluster opened by OOFFRR is Jamshedpur city's, Bistupur Market. 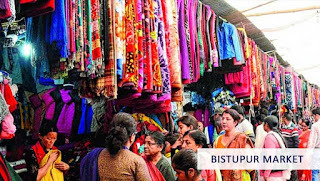 BISTUPUR MARKET: Bistupur Market is famous for many branded resorts and shopping centers in Jamshedpur City. This market is a perfect destination for those seeking products of good quality for their lifestyle needs. You will enjoy every shopping moment here as there are plenty of discounts in Bistupur Market. REMEDI PHARMA: Remedi Pharma is a medical shop in Bistupur which sells medicines and health care products. It's been on board with OOFFRR recently. The price of medicines is now touching the sky limit. Don't worry because we've got your back. All of you can redeem lots of discounts on medicines through OOFFRR App. So, to enjoy exclusive deals and discounts Download the OOFFRR App. IPL has again caught all of us. During the months of IPL (from March to June), people are high on IPL Fever. Everybody just glue their eyes to their TV screens whether they are in their homes, offices, restaurants, etc. Eat Out areas having best food deals and live match screenings gets flooded with a crowd of people. Everyone starts searching for best restaurant deals on Google. They enjoy their heart out while cheering up their glass of drinks at each four and sixes. Here, we are listing down the IPL LIVE SCREENING RESTAURANTS in Delhi. Symposium is famous for its nice decor and amazing ambiance. 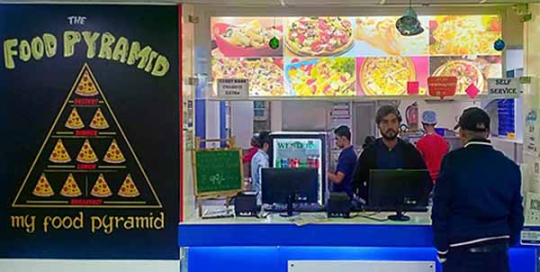 It is located on the first floor of City Centre Mall, Sec-12, Dwarka, Delhi. Popular for its delicious cuisines and live sports screening, Symposium is the appropriate restaurant to enjoy with your family this IPL season. Chai Coffee Biscuit is well known as CCB Cafe in Dwarka. One would really get amazed with its proper seating and its live sports screening arrangements. On top of that, It has a great food menu which is worth spending your money in CCB cafe. Another cafe in City Centre Mall, Cafe After Hours is loaded with all happy vibes. Enjoy your after office hours with your friends watching IPL on its live sports screening and relish the delicious taste of foods served here. Situated in City Centre Mall, Dwarka, Punter House Cafe Reloaded is the ultimate destination for enjoying Live IPL screenings with your friends. It serves delicious Pizzas, mocktails, cocktails, shakes, and the list goes on. 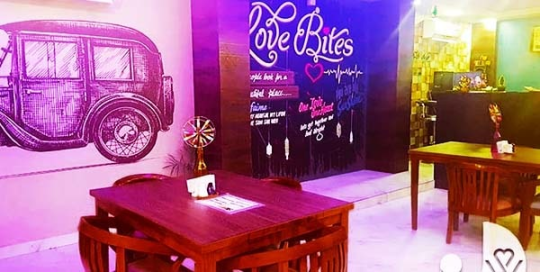 Here comes a restaurant from Sector-11, Dwarka, The Playground will definitely attract you all as it has an amazing nightlife, thrilling gaming area with live Sports Screening of course. So, these were the restaurants where you can enjoy IPL Live Screening. Deals and Discounts are two words that are making the internet a very hip and happening place to hang out, thanks to awesome E-Commerce sites bringing out amazing Deals and Discounts for everyone to get their hands upon. 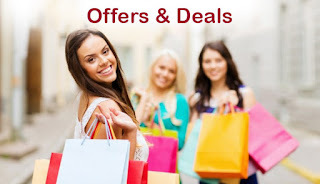 Today more and more people are using these sites to get everything they need at a lower price by using the deals and discounts codes at both online shopping and offline shopping. Till not very long ago, shopping used to be something that you needed to plan and wait for the off-season in order to buy products and co-ordinate in your already cramped schedule. It used to be tiresome and sometimes ridiculously difficult. 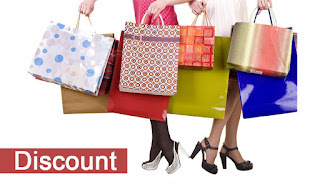 But now with the various E-Commerce sites on the internet, you can get all the Deals and Discounts that you need at the click of a button and can avail on both online purchase and offline purchase or we can say face to face shopping or try and buy a thing. The quality and quantity of the goods you can purchase varies according to your specific needs and taste. The date of delivery can and will be fixed according to your pleasure and the location of the drop or delivery is also according to your choice in online. Just think about it, you have the pleasure of purchasing your favorite items and getting them delivered "whenever you want and wherever you want". Another interesting fact is that the inventory of the online market is massive; it has the capability to cater to any amount of people from all walks of life. Everybody regardless of their age, class, and taste can get anything they want, safely and comfortably from their own home. It does not matter if you are a Techie who wants to get all the latest gadgets and electronics, a Fashionista with a keen sense of dressing and appearance, a gamer who wants all the latest Play Stations and Nintendos or a bookworm who wants the best books the market has to offer. In short, if you are shopping on the internet you have the key to a portal where you can buy everything you want with no hassle at all. Spring has knocked the seasons' door again. Winter has gone taking away all the warm and woollen clothes from our closets. Buds are blooming into flowers, birds are chirping, green leaves are starting to sprout. It seems like nature and the environment around us has all good vibes in itself. But during this major seasonal change, we must keep track of our diet and the daily meals. 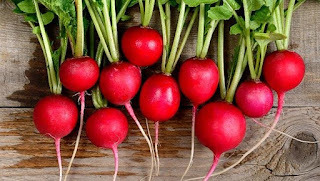 Here, we are listing down some superfoods that we should intake during the spring season. 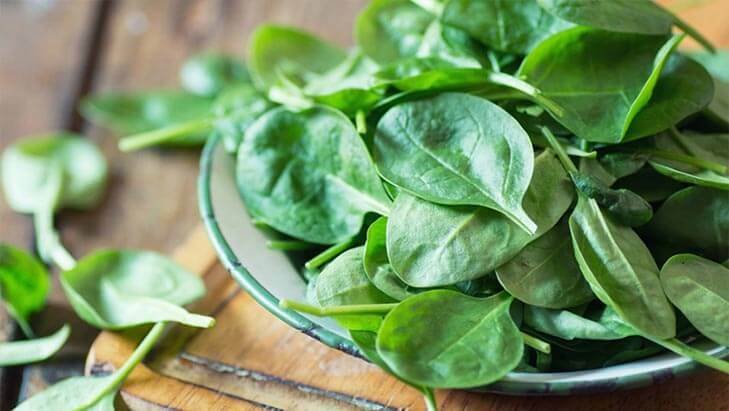 Spinach is a great source of iron. We can intake it in different forms such as spinach paneer (palak paneer), spinach juice, spinach salad, etc. 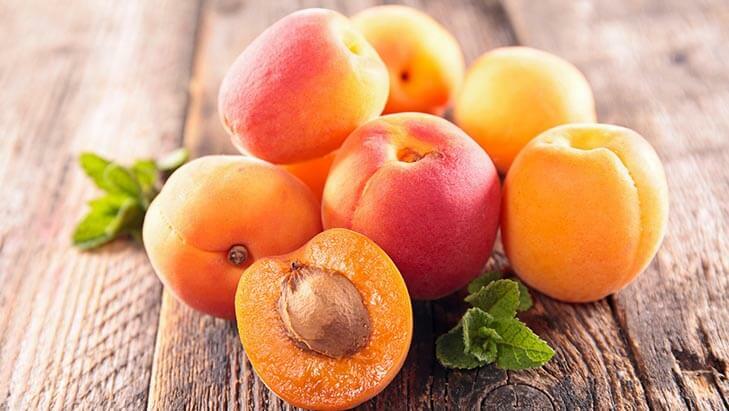 Fleshy pulp with a velvety outer coat, apricots are a great source of phosphorus and cholesterol-lowering fiber. 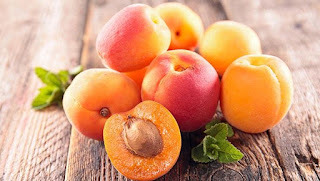 You can have apricots with desserts and a bowl of cereals. 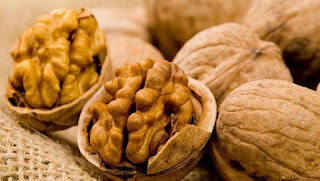 An abundant source of Omega-3 fatty acids, proteins, Walnuts are hard outside and a have a brain like nut inside. You can have it with your daily cereals and desserts to add some crunchiness to your diet. Ghee is also known as clarified butter which is used as a famous cooking medium in most of our houses. 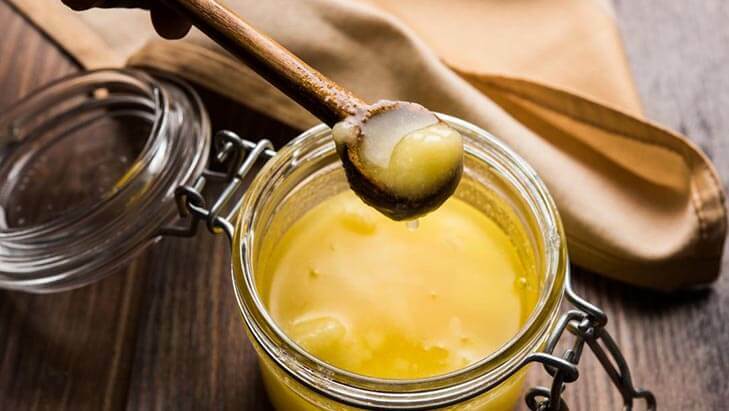 it is full of Vitamin A, E, and K2 which is good for our digestion and immunity system. 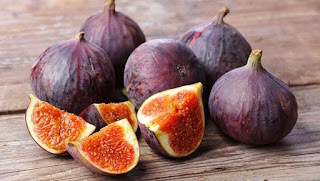 Most of us are familiar with the term 'anjeer' which is the Hindi of Figs. Figs cure the problem of constipation and skin infection. also, it controls blood pressure. Small, round and oval-shaped, red radish is also known as "Button Red Radish". it has a solid and crispy flesh with edible leafy tops which we can add to our daily bowl of salad. It is high in antioxidants. It is also known as purple rice because it turns into deep purple when cooked. rich source of high fiber, it boosts our immunity. 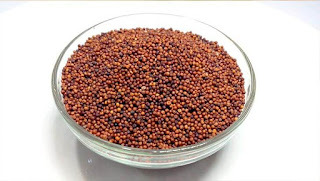 Ragi is mostly i\used in South-Indian dishes such as upma and dosa. 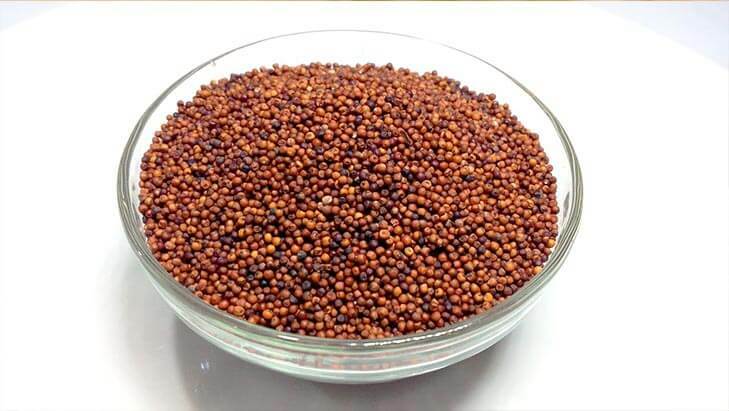 It is a gluten-free superfood which helps in curing diabetes. This tropical fruit is tasty to eat and high in antioxidants. Ratnagiri's Alphonso mangoes are the most famous. 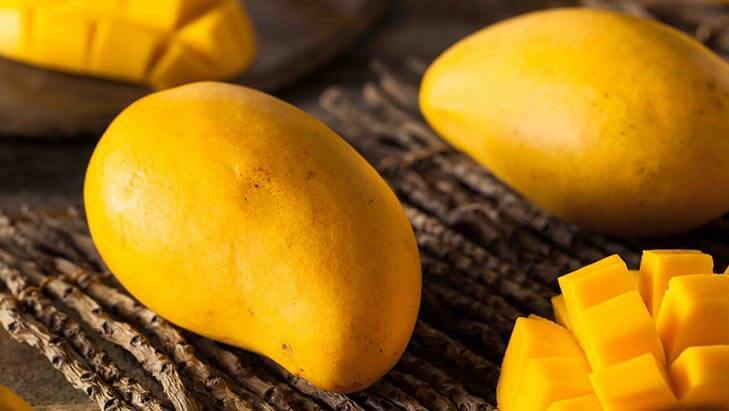 From the month of March to June we can relish the delicious taste of these Alphonso mangoes. These are tiny shaped and black in color. 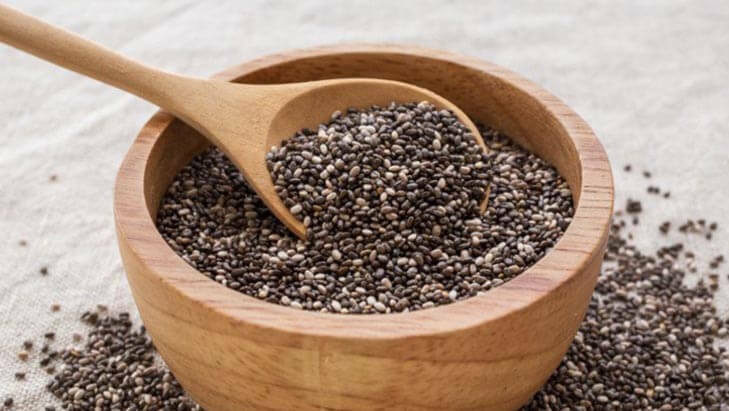 Full of protein and micronutrients, these chia seeds help in slowing down the aging process and skin regeneration. 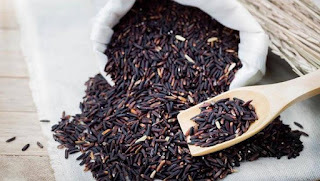 These were some of the superfoods that we must take in Spring season. For taking, Best buffet deals in New Delhi, click on the link and Download OOFFRR APP to avail amazing discounts on all lifestyle needs. We all love to eat because eating is a hobby that everybody enjoys. Eating with lots of discounts gives us immense happiness. Through OOFFRR App, you can eat and that too with heavy discounts. 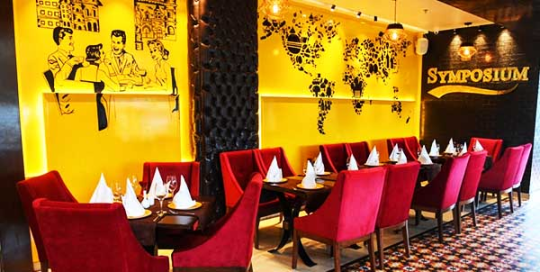 In this Blog, you all will get to know about the "Best Restaurants in Dwarka" through OOFFRR App. 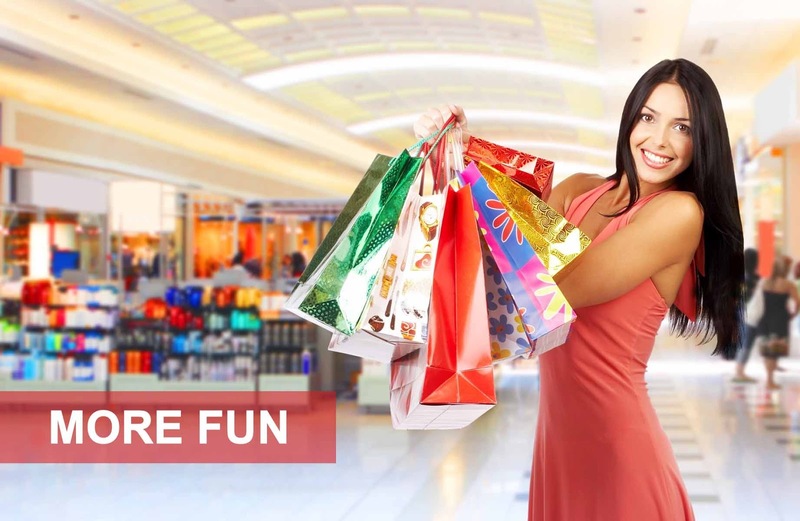 City Centre Mall is located in Sec - 12, Dwarka, New Delhi. It is famous for its grand Food Court where there are many food outlets. Symposium is a casual dining restaurant which is located on the first floor of City Centre Mall. It provides free WiFi, Live Music with an Indoor as well as outdoor seating. The courteous staff here provides attentive and friendly service. People love to eat here Mushroom Soup, Tiramisu, Fish Grill, Mocktails, Pizza. Basil Tree, another casual dining restaurant, is also located on the first floor of City Centre Mall. Full Bar is available here. The staff provides great service. People love to eat here Chicken Malai Tikka, Chicken Wings, Paneer Tikka, Dal Makhani, Chicken Pizza, Butter Chicken. 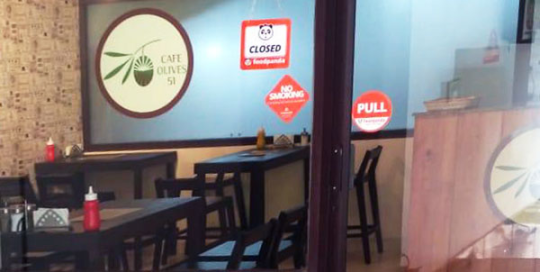 Cafe Olives 51, a restaurant which deals in Italian, American cuisines as well as Cafe items. People love to eat here Pizza, Pasta, Garlic Bread, French Fries, etc. It has an awesome indoor seating. Home delivery service is also available here. Shanghai Wok, a restaurant a Ramphal chowk mainly provides North Indian, Chinese and Thai cuisines. It has great indoor seating and it also does home delivery. It has different types of sizzlers and different varieties of Veg and non-veg main course as well as delicious desserts. 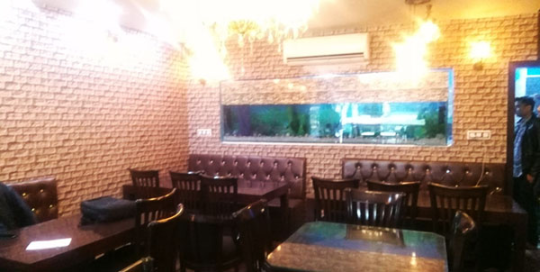 Jab We Met is the restaurant which is most popular among couples. It has a great indoor seating, enjoyed by everyone. It mainly deals in Chinese and North Indian cuisines with home delivery service. Both veg and non-veg food are served here. Pizza-AH! is a restaurant which provides Italian cuisines. It has indoor seating. Various types of veg and non-veg pizzas, pastas, fries are served here. So, these were the best restaurants in Dwarka , which one should try. Download the OOFFRR APP, Redeem all the offers to avail some awesome discounts.